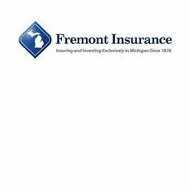 Fremont Insurance is one of the older insurance companies in America having been established in 1876. The company operates and invests exclusively in the state of Michigan, providing a wide range of personal and business insurance products. Earlier this year a deal was announced in which Fremont Insurance agreed to be acquired by the Auto Club Insurance Association. Despite the acquisition, the company still operates fairly independently. Enter your zip code now to see health insurance rates from companies in your area. The full legal name of Fremont Insurance is Fremont Michigan InsuraCorp, Inc. the company should not be confused with a Massachusetts insurance agency known as Fremont Insurance Agency. Both are completely independent from one another in all respects. Where the Massachusetts company is simply an agency representing other carriers, the Michigan company is a statewide carrier underwriting and servicing its own policies. The company also offers specialty insurance products for farm operators and owners of country estates. Furthermore, either individuals or businesses can purchase their umbrella policies. Despite such a long list of available products, Fremont Insurance does not provide any type of health care policy. Health insurance is a unique product in many different ways, making it the domain of dedicated companies or life insurance companies with the means to service those policies. Therefore, while you may find a great homeowners or auto policy with Fremont Insurance, you will have to look elsewhere for your healthcare coverage. Fremont Insurance has not become the fastest growing company in Michigan by casually sitting and doing nothing. They have done so by providing excellent customer service through their local agents. The company has independent agents throughout the state and offers a locator tool on their website to find one in your area. Consumers can search for agents by using their zip code or by selecting their county from a drop-down list. The website provides names, addresses, telephone numbers, and e-mail addresses for all local agents. If you are interested in the products Fremont Insurance offers, you can always contact a local agent or the corporate office for a quote. Although the company website provides a link to a quotes section, it simply describes what the company has to offer. They do not provide an online quote tool like some other insurance providers. In the end that may be a better anyway because even with online quote tool, you ultimately have to deal with a representative in order to verify your information and write your policy. Fremont Insurance does mention under its quotes section that discounted rates can be had when customers bundle their insurance policies together. In other words, if you have both auto and home policies through different carriers, you may be able to reduce your total cost by combining both policies with Fremont Insurance. This type of bundling is a common practice in the insurance industry, which helps various carriers compete for a limited number of customers. In the world of insurance financial stability is everything. Fremont Insurance has kept that under control as evidenced by an A- rating from A.M. Best. This high rating demonstrates the fact that Fremont has enough cash and policy surplus to meet its current obligations. The rating is also favorable for the company’s future outlook, meaning that services like A.M. Best have no reason to believe Fremont will run in to trouble in the long-term. Fremont Insurance prides itself on customer service offered through its dedicated local agents. Nonetheless, they also provide their own customer service via toll-free telephone number and their website. Policyholders can contact them directly and speak to a representative seven days a week. You can also submit inquiries via e-mail, though this is not the preferred method. Finally, consumers can establish an online account on the company website. Having an online account allows policyholders to contact their local agent online, manage current policies, add new policies, make online payments, sign up for the company newsletter, and more. When it comes to claims, the company does not allow them to be filed online. They encourage their members to contact a local agent as soon as possible in order to begin the claims process. Make your search for health insurance rates easier by entering your zip code now.